Woof! Woof! A Playground for Pups … and their People! 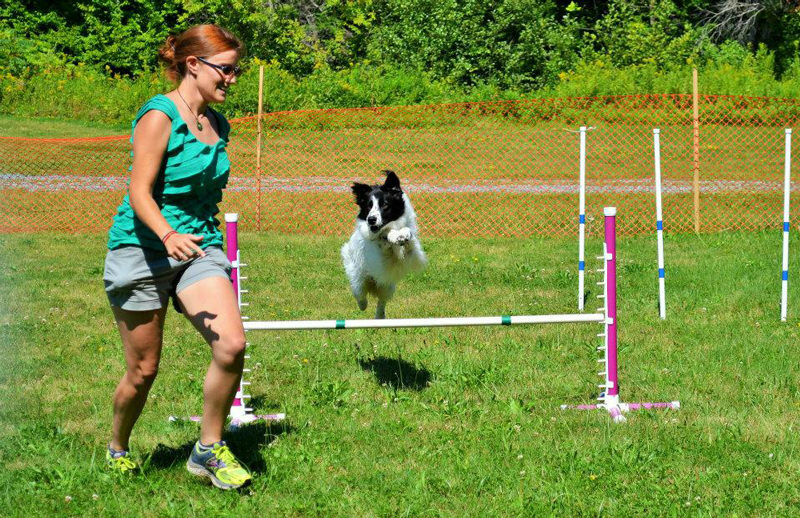 See how a pair of determined women brought their community together to finance, build and maintain a local dog park. My husband, Bob, and I purchased our first home in 2011, and in the fall of 2012 we decided it was time to add to our family. For us, this meant adopting our two fur-kids, Annie and Blue. Like most parents, we had no idea how they would change our lives, and like most children, they quickly became the focus of everything we did. We spent an exorbitant amount of time and money on them. Food, treats, vet visits, training classes, daily walks, you name it. We even started going to the dog park. I know, I know. If you had asked me prior to being a dog-mom about dog parks I would have laughed! A dog park? Not for me! But, there was one in our area, about a 15 minute drive away, and I had heard about it from some friends. Bob was skeptical, but eventually complied with my request that, “we should at least try it!” And, once we went, we were hooked! 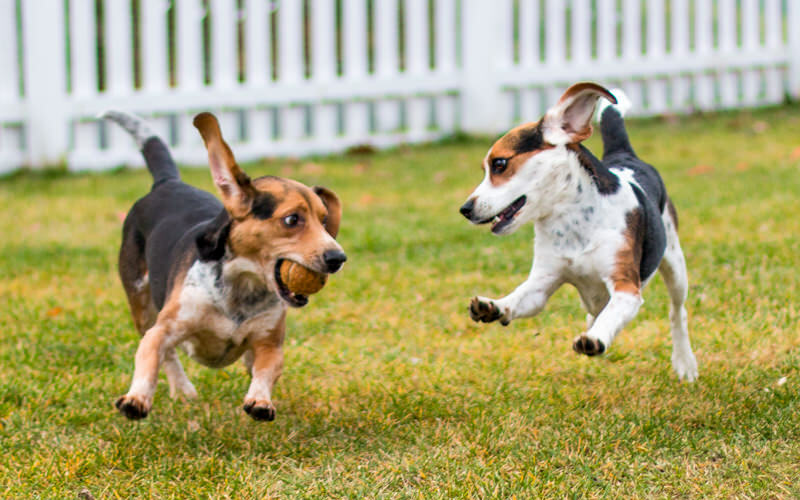 Seeing the joy in Annie and Blue’s eyes as they ran freely around the open space and bounded gleefully with the other dogs made my heart sing. We started going more and more frequently, and a strange thing happened; we found that the dog park wasn’t just fun for dogs, it was fun for us too! We expanded our social circle, forming friendships with people we never would have met otherwise, and our dogs got to play and run, just like kids and parents at a playground. That’s what a dog park is, really: a playground for adults! Even though the dog park was reasonably close to us, the more we went, the more I began wishing that there was one in our town, so that we could go more often. Like after work on weeknights, but without sacrificing our own dinner time. After hearing me talk about this, a friend and fellow dog-park-goer put me in touch with her friend who had also been complaining about not having a dog park closer to our town. We met over a brown bag lunch in July of 2013 and decided to join forces in our dog-park desires. Neither of us had had any experience in building dog parks, but we did tons of research and reading, using other parks that had gone before us as models. 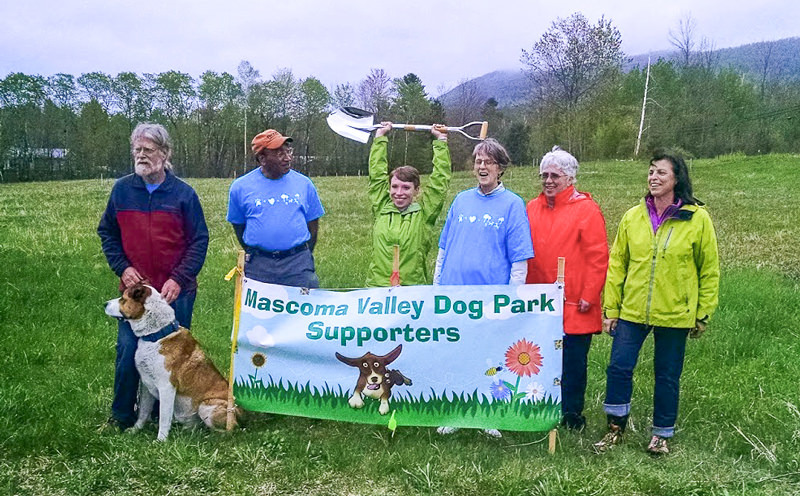 In our first year we assembled a volunteer group, the Mascoma Valley Dog Park Supporters (MVDPS), incorporated as a 501(c)(3) non-profit organization, and launched a capital fundraising campaign with a goal of $75,000. As of today, MVDPS has raised over $80,000! $25,000 from the locally-based Jack & Dorothy Byrne Foundation, $25,000 from PetSafe (a pet products company) for winning the Bark From Your Heart category in their annual Bark for Your Park online contest, and another $30,000+ from events, corporate & individual sponsorships, and annual membership dues ($20/family/year). We held a ground breaking ceremony last spring, and on August, 2016, The Shaker Field Dog Park officially opened to the public! MVDPS continues to be responsible for the ongoing maintenance and management of the dog park, and although the initial construction is complete, we are far from “done.” Just yesterday, work began on the installation of a well at the park so that this summer we will have running water. None of this would have been possible without the support of our community, so if you’re a dog park skeptic like I was, get out there and see what a wonderful source of community it can be for your dog AND for you! Thank you to Larissa L. Pyer for sharing this story. 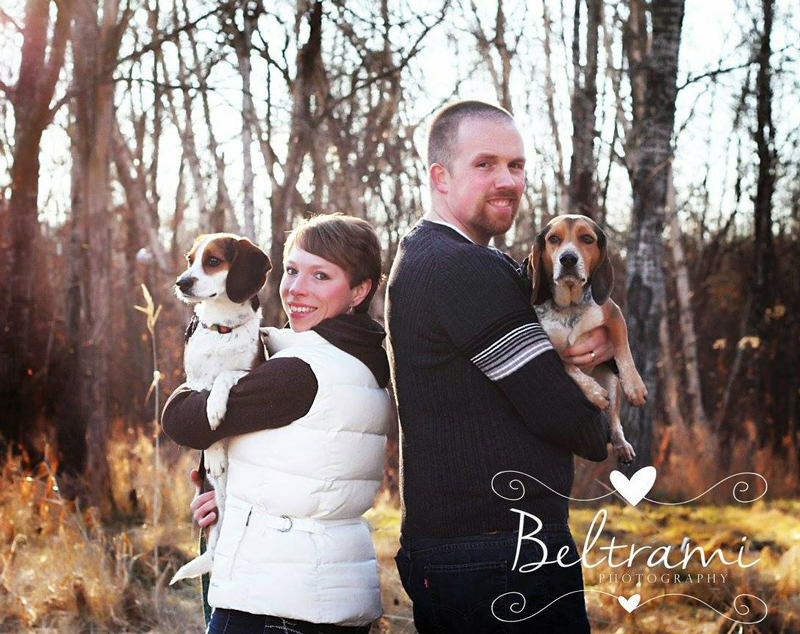 Larissa lives in Lebanon, NH with her husband, Bob, and two fur-babies, Annie and Blue. She works as a Recruiting Coordinator in the Career Development Office at the Tuck School of Business at Dartmouth College. 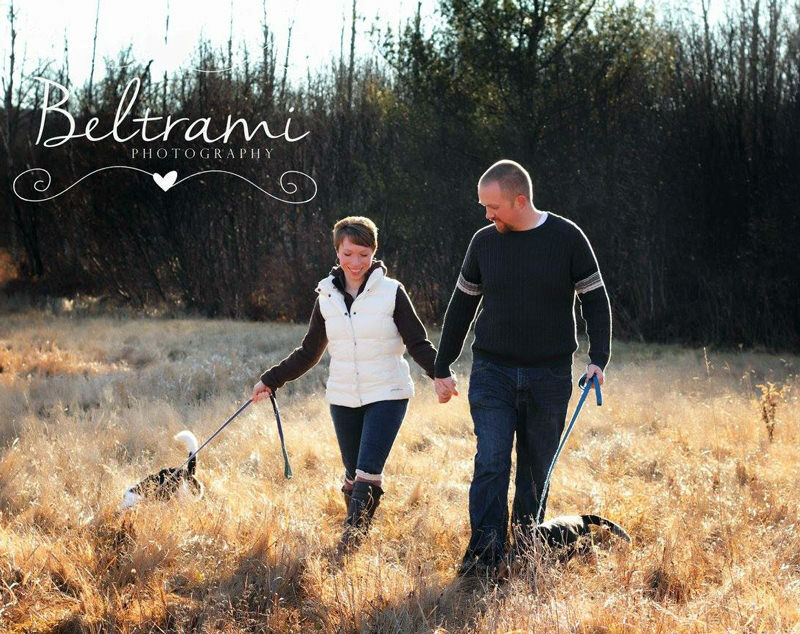 In her free time she enjoys singing, walking & hiking with her pups, and of course, going to the dog park! Larissa is a self-proclaimed Crazy Dog Mom and a strong advocate for rescuing animals. How have you made a difference for a cause you care about? Are you a “crazy” dog/pet parent with a great story?